The same engine and gameplay mechanic of the popular Gears of War series is coming to the App Store… and it’s coming from the studio behind Bioshock. The game is called Epoch. 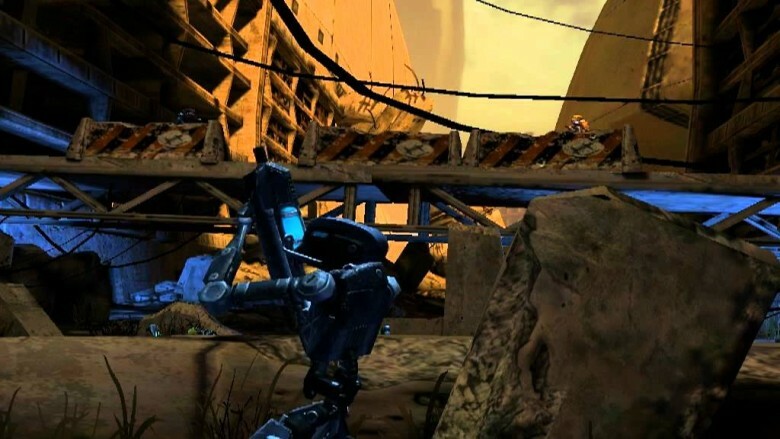 It’s a post-apocalyptic third-person 3D shooter in which a robot soldier reboots, only to find the world in the midst of a full-blown post apocalypse. Like Gears of War, it’s a cover shooter, so a lot of the gameplay is running from one bit of rubble to the next to shoot from. As you can see from the trailer above, Epoch looks pretty incredible. Even more promising, though, is the team behind Epoch. Uppercut Games is a new studio formed by Andrew James, previously art director at Irrational Games/2K Australia, and Ed Orman, a designer at the same company. Together, James and Orman have 28 years worth of experience in the gaming industry between them, and have worked on the likes onFallout: Tactics, Bioshock and Bioshock 2 and the upcoming XCOM< reboot. That's a seriously impressive resume. Epoch will be available on the App Store sometime later this year.